As a teacher, I sometimes find it hard to eat healthy and be fit, but I have found a way to make it happen. I have always wanted to tell other teachers out there how "easy" it can be to eat healthy and have a fit lifestyle. 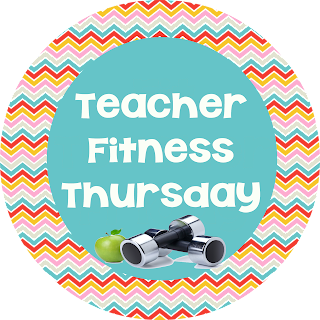 So, I was excited when Melissa from Don't Let the Teacher Stay Up Late hosted her Teacher Fitness Thursday! I always thought that exercise would be enough to help me lose weight, so that is what I did. Then I got married and kept exercising but kept eating what my husband ate. BiG mistake! I gained 10 pounds in the first year of marriage. Then, we moved to a new house in a great neighborhood. I walked. I worked out. I tried going to the gym. Nothing, nada, no weight loss! Then I got pregnant and gained 40 pounds (10 lbs of it baby) because I just felt miserable and wanted to eat. I lost only 20 of it from nursing and working out, but my portion control was still out of whack. After Zack turned 5, I knew I needed to do something. My neighbors and I banded together to lose weight. We all joined Weight Watchers. We went to the gym together and worked out. We talked about what we ate. We measured and shared recipes. It was great! I lost 20 pounds in only 3 months. Then, I got pregnant again! But, this time I had a plan! I only ate the necessary extra calories to grow a healthy baby and splurged a little here and there. I only gained a little over 20 pounds (almost 7 pounds baby) and lost it all by the time I went back to work, just by nursing and using what I had learned from Weight Watchers. So, how do I continue to keep the weight off? I get up before dawn, at 5 AM to work out most days of the week. If not, I won't get my workout in. Then I eat pretty much the same thing every day, based on my meals from my Weight Watchers days. 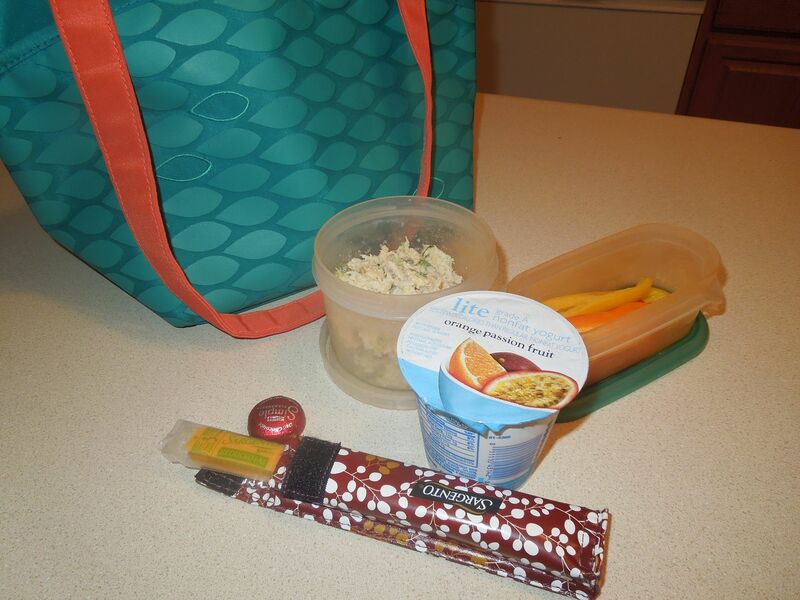 Here is my lunch for this week, along with my cheese stick snack for after school. I eat a granola bar at some point before lunch, since I eat breakfast at 6:30 and then lunch is at 12:05. And I drink water all day, nothing but water after my one cup of coffee. And, yes, I eat bell peppers or some kind of vegetable with dip or hummus (which I keep at school) instead of chip every single day! Sometimes I eat frozen meals with the WW points on them just because it is so much easier sometimes. This week is chicken salad with crackers. So, that's my story about being fit! I have to say that it has really worked for me. My blood pressure went down tremendously just by losing the 20 pounds. I went for my last massage, and the lady I go to said I have a very healthy body. What a compliment! How do you eat healthy and stay fit during the school year? Or, do you need some motivation? Head on over to Melissa's blog, Don't Let the Teacher Stay Up Late to link up and learn some more! Great ideas for snacks and healthy lunches! I agree with you about working out in the morning. That is the only way I can get it in too. It is definitely worth it though. I end up feeling energized for the day! Thanks for sharing your healthy tips. Weight control can be such a struggle. Your ideas were a wonderful reminder of how we should be eating. Thanks for stopping by "my place". I am your newest follower. Thanks for linking up! I hear so many great stories about Weight Watchers, and it helps so much more when you have a community of people to hold you accountable! Great idea... Very thanks for sharing this healthy food guide tips to all.